Heal reactive emotions with our daily coaching questions. Break out of the emotional reactions that keep you trapped and sabotaging yourself! For so many of us, emotions can hit like a tidal wave and throw us off balance. In their grasp, we feel we lose control, and for a human being, losing control can be terrifying. In the grip of powerful emotions, we can do things we later regret. No wonder we often do everything we can to clamp a lid on them! Emotions are simply energy in motion. They are bottled up, repressed energies within us that get triggered. And you can control the triggers and release of that inner tension. Our most important journey in life is - To 'Reveal and Heal' unconscious programming. Build an unbreakable foundation that allows your authenticity, awareness and naturalness - the real you - to express itself fully. A foundation where all the filters, self sabotaging programs, limiting beliefs and reactive habits are understood, integrated and healed. A great way to reveal and heal is to Question your life! To STOP and THINK about your triggers and reactions. Just a few thoughtful minutes per day o awareness will change your life. That's our guarantee! 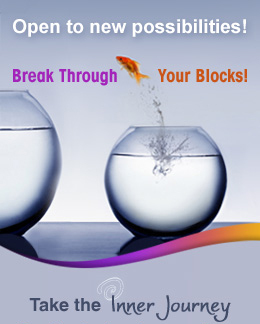 We have the right questions that progressively dislodge old limiting patterns and break through your blocks. Receive 60 emails over 12 weeks to support you in taming your emotions. See your life from new perspectives that allow emotions to release. Self confidence and happiness is our birthright! melt away stresses, fears and sadness. deepen your inner and outer awareness. allow pent up energies to move to their cause and cure. disarm triggers before they even happen. identify limiting beliefs that stop you from experiencing your true self. Start on the road to deeper feelings and compassion instead of old stuck patterns that hold you back. 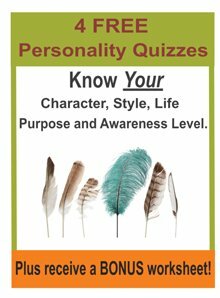 Receive Daily Smart Questions - each with inspirational quotes, tips, a Smart Question and extra support to bring more joy to your life. Become a member of Higher Awareness and you will receive your Heal Reactive Emotion Questions Email Series - Build a foundation for leading the life you were meant to live. Explore your relationship with your emotions and feelings. Receive 90 days of daily smart questions and tips to shift your reactions into more loving feelings. We guarantee you will experience more emotional control and more positive feelings! We know from experience how powerful questions are in raising our consciousness and empowering us to live differently. For over 10 years, we have been using Smart Questions to coach thousands of individuals around the world. Please give them a try - you won't look back. It is like having your own daily coach. Order now through our secure server to get instant access to our Releasing Reactive Emotional Questions Email Series -- great questions daily to guide you to more positive feelings and happiness.